Chihuahua Crossing Sign I can make it to the Fence in 2.8 Seconds at Animal World® is fun and functional and really unique! Made of durable lightweight aluminum, this Chihuahua Sign 2.8 Seconds to Fence is perfect for outdoor safety function or indoor decor, measures 12" diamond square and has two holes for easy hanging. 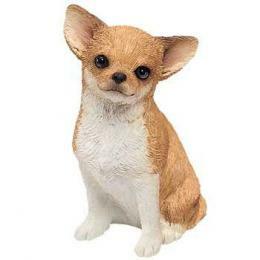 Shop our Chihuahua Gifts at Animal World® page for additional Chihuahua gift items.